ownCloud image is secure, up-to-date, and pre-configured to work out of the box. 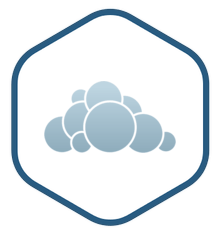 ownCloud is a file storage and sharing server that is hosted in your own cloud account. Access, update, and sync your photos, files, calendars, and contacts on any device, on a platform that you own. ownCloud is an open source, private file sharing and syncing server. It gives you universal access to all your files, contacts, calendars, and bookmarks across all of your devices. ownCloud works just like popular file hosting services, except that you can run it in a place that you trust. ownCloud enables you to privately sync and share your data between all of your devices, from anywhere. You can snap photos from your iOS or Android device, automatically sync them to ownCloud, and send a password-protected link to friends and family. You can share and stream your stored video and audio. Need to collaborate on a project? Create and edit RTF documents with others in real time. With its powerful features and extensibility via API, the possibilities for managing and sharing your data with ownCloud are limitless. Sync files, photos and media, calendars, contacts, and any other data across any device. Access data through a web client or apps for iOS and Android. The amount of data you can store is only limited by the size of the drive. Share photos, movies, and music with friends with customized, password protected links. Collaborate on documents in Rich Text Format in real time. Keep up-to-date on what is happening with your data, with alerts and an activity feed. Easily move data to and from home or other file storage services via FTP, sync clients or WebDAV. Extend ownCloud via API for plugins and other applications, opening up a limitless variety of uses.